Join us for a little taste of Devour! 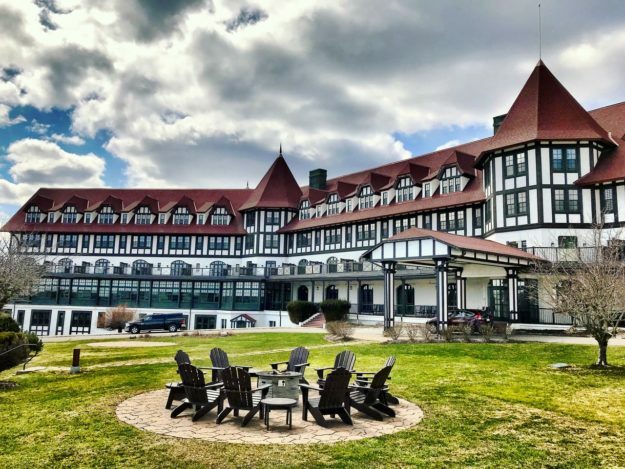 at the Algonquin Resort, St. Andrews by-the-Sea! This will be our THIRD time back in New Brunswick featuring many Devour! alumni and a packed weekend of fun activities from April 12 – 14, 2019. Tap this link for the weekend’s schedule. Also returning this year is The Whiskey Lassie – Johanne McInnis! Saturday Whisky Tasting w/The Whisky Lassie! Full accommodation package rates starting from $785 per stay, plus tax, based on double occupancy. Melissa Kelly grew up on Long Island and spent countless hours in her Italian grandmother’s kitchen. After studying business at the State University of New York and University of Maine, Kelly’s kitchen inclinations and curiosity led her to the Culinary Institute of America, where she graduated with honors. Kelly continued her training at The Greenbrier in White Sulphur Springs, West Virginia. Eventually Kelly returned to New York to work for iconic Chef Larry Forgione at An American Place. Becoming a trusted colleague of Forgione, she earned the executive chef position at Beekman 1766 Tavern and later was placed in charge of opening An American Place Waterside in Miami. She also was called upon to assist in the opening of An American Place Japan. But it was when Kelly made the move out West to work at Chez Panisse that she truly came into her own. Working with Alice Waters, she realized that simplicity, seasonality, and freshness were what mattered to her most. Kelly took this mentality and applied it to her career and travels from Denver to Barbados and the south of France. Back in New York, Kelly earned her first James Beard Award in 1999, running the kitchen at Old Chatham Sheepherding Company Inn in the Hudson Valley. In 2000, Kelly opened Primo on a 4½-acre farm in Rockland, Maine. More than decade later, the accolades and the guests are still coming in droves. In 2013, Kelly was the first two-time recipient of the James Beard Foundation’s Best Chef, Northeast. The following year Bon Appetit magazine named Primo one of the top 20 most important restaurants in America. In 2017, Todd and his partners opened the latest addition to the Quidi Vidi tourist experience – The Inn by Mallard Cottage. A modern, yet traditional 7 room accommodation offering the best a Newfoundland and Labrador outport has to offer – in the heart of St. John’s. Todd’s latest project with his partners is WaterWest Kitchen & Meats, a butcher shop, coffee shop, restaurant, quick service takeaway set to open early summer 2019 on the west end of Water Street in downtown St. John’s. 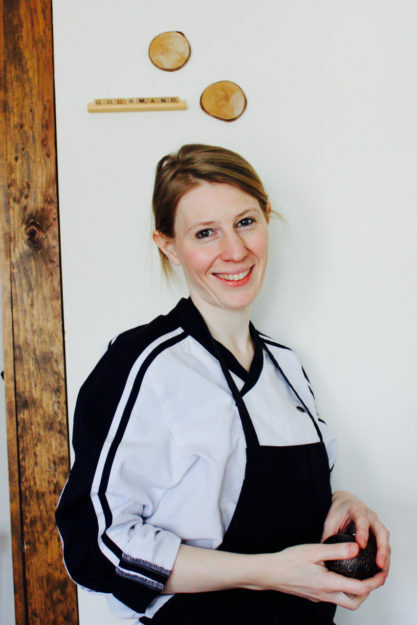 Chef Camille opened Manuka in 2014 with the vision of offering Moncton a restaurant that would serve homemade food prepared with local ingredients, using her European cooking background. After four years in business, she is very proud to stick to this philosophy as her cooking has been well received by local food lovers since opening day. Growing up in Southern France, Chef Camille fell deeply in love with food at an early age. Her mom had a plentiful garden bursting with fruits and vegetables grown with love and she was also making homemade bread. Camille’s father traveled frequently for work and passed on his passion for fine food by taking his daughter to various restaurants around the world. Upon graduating from journalism studies in Belgium, Camille decided to travel the world to experience different cultures. It was after working in various restaurant kitchens during her travels that Camille realized she truly wanted to become a chef. After spending time in Scotland, Australia, New Zealand and Japan, Camille arrived in Canada. She met there her now husband André Léger, a Maritimer from Moncton. They decided to start their own business, Manuka, a few years later. At Manuka, the menu changes every week to reflect the inspiration of the moment and to follow the flow of the seasons. Every plate Chef Camille puts together is a subtle balance of childhood memories and travel-inspired flavours. Dessert is always a beautiful finishing touch at Manuka, as throughout the years, Camille developed a real passion for creating intricate pastries and sweets. Michael Howell is the founder and Executive Director of Devour! 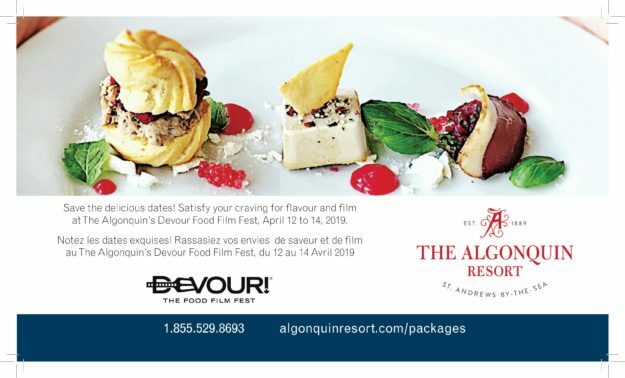 The Food Film Fest in Nova Scotia, Canada. For more than 25 years Michael has been a leading chef across the United States, Canada and The Bahamas. 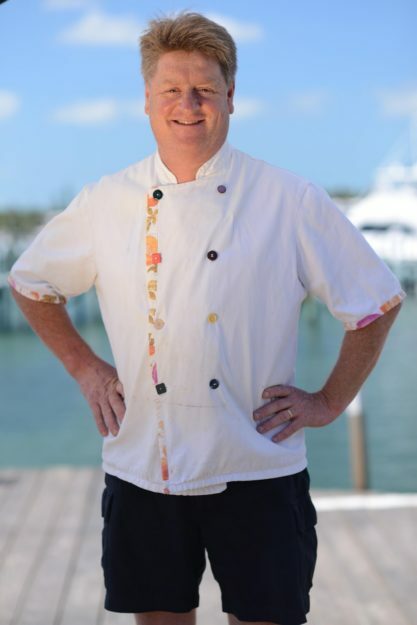 Michael hosts food and wine inspired travel to Italy through Tempestuous Culinary, and is currently the consulting Executive Chef at The Green Turtle Club and Marina in Abaco, Bahamas. From 2013-2013 Michael owned and operated Tempest, an award winning restaurant in Canada. Michael has twice cooked at New York’s prestigious James Beard House as featured chef. Deeply committed to Slow Food (he is the former co-Chair of Slow Food Canada) and global food literacy, Michael was named a winner of the Queen Elizabeth II Diamond Jubilee Medal in 2011 for his contributions to improving the food system for all. 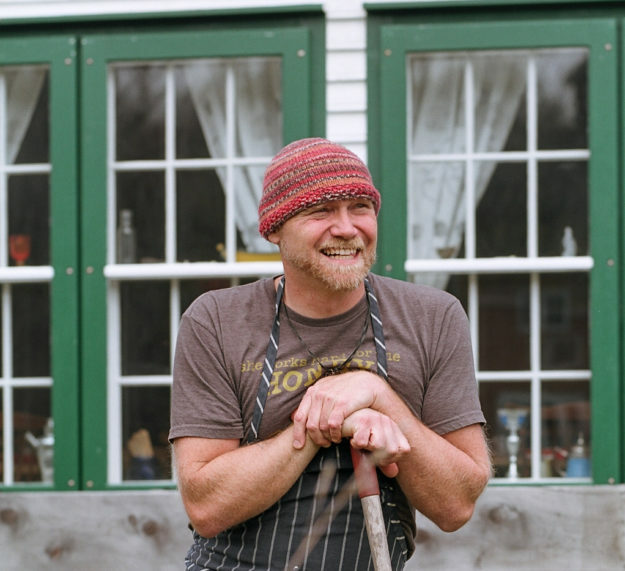 He was Nova Scotia Local Food Hero in 2010, named Taste of Nova Scotia’s Culinary Ambassador (along with business partner Lia Rinaldo) in 2015. Devour was awarded the 2017 Canadian Treasures award for Innovation in Hospitality by The George Brown Centre for Culinary Arts and in 2018 was awarded the Tourism Industry Association of Nova Scotia Culinary Ambassador Award. 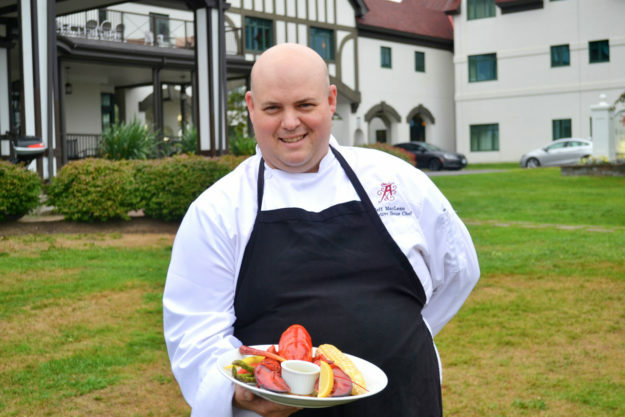 My tenure as culinary professional spans 18 years since my culinary journey began, studying at the Culinary Institute of Canada in Prince Edward Island. I have pursued my passion for culinary by venturing to the Rocky Mountains working for Canadian Rocky Mountain Resorts (CRMR) at their Emerald Lake property in beautiful British Columbia. By 2003, I graduated from the Culinary Institute of Canada with a Diploma in Culinary Arts. I embraced the Rocky Mountain cuisine philosophy that was being elevated by CRMR as they own their own farms of wild game and encourage Chef’s to honor a true regional farm to table cuisine. I quickly found mentors in the mountains including renowned Executive Chef Alistair Barnes, whom assisted in the further development of my skills. During my CRMR career I have honed my admirable culinary and leadership capabilities to become the Head Chef at their Deer Lodge property in Beautiful Lake Louise Alberta. Over my 10 + years with CRMR I also had a chance to travel and work throughout Canada as well as the United States adding to multiple dimensions to my vast culinary knowledge and career. It was while working at CRMR’s Buffalo Mountain Property I met my now wife Michelle who is from New Zealand. Michelle and I lived abroad for two years which was a great opportunity to expand my international culinary experiences and learn about New Zealand’s culinary culture. Michelle and I then joined the New Castle family at the Keltic lodge before heading back to the Rockies where we called Banff home and I helped lead the culinary brigade at the world class Rimrock Resort. From there my family and I made the long journey east to Saint Andrew’s New Brunswick where I was hired as their Executive Sous Chef. After 2 seasons as Exec Sous I had the chance to be the Executive Chef, and have transitioned well into the job leading the kitchen brigade at the Historic Property. Throughout my career I have been involved in all aspects of the kitchen and have enjoyed applying and sharing my unique skills and knowledge. My professional inspiration now comes by working alongside my teams; watching the growth of skills and passion within my brigade and finding ways to integrate inspired ideas through collaboration to help shape the future of the culinary industry. I was born and raised on Cape Breton Island and now call New Brunswick home. It seems I have come full circle in my culinary journey and can’t wait to make great memories here with my Algonquin family. 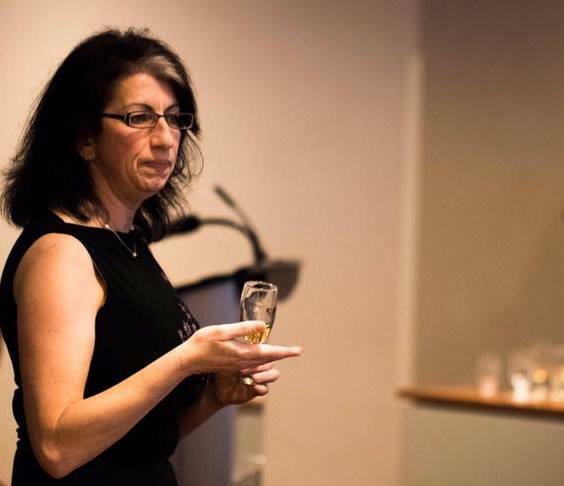 Johanne McInnis, also knows worldwide as the Whisky Lassie, has over 20 years experience in the public speaking field. Her educational background in distillation has given her a strong understanding of the whisky making process and when combined with her natural passion lends beautifully to her master class. She now offers personal tours to Scotland We are happy to have Johanne back again this year as a Devour presenter. Johanne will lead a Peat Deconstruction Workshop – From zero peat to heavily peated, scotch is recognized worldwide for its variety of flavours and aromas that are often associated with smoke or peat. Come join Johanne McInnis for a deconstruction and virtual walk through some of the peat bogs of the UK through five very different whiskies.